Peru Hop is all about discovering the REAL Peru through the eyes of a Peruvian. Imagine a tourist came to your city with a Lonely Planet Book. Who can show them your city better… you, the local expert, or a guide book probably written by a foreign tourist?? That is exactly what Peru Hop does! We, the Irish founders, “travelled” Peru, but it was only living here full time (for the last 5 years!) that we realised how incredible this country is (Secret Slave Tunnels, Desert Oasis, 2nd deepest canyon in the world, a Rainbow Mountain…the list goes on!). That’s where Peru Hop comes in. We have created a hop-on, hop-off bus system that not only gets you from A to B, but goes off the beaten track to hidden gems that would be impossible to get to, or know about, without some local insider knowledge. 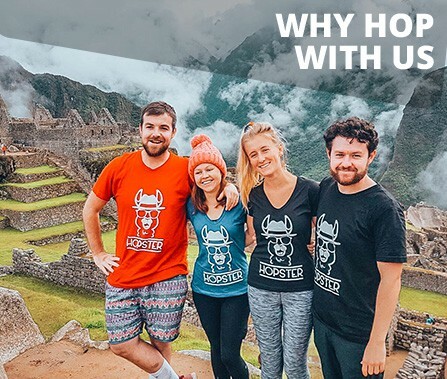 Our team of 50+ local Peruvian experts LOVE their country and they love Peru Hop, because they know that we are trying to help local communities grow as well as ensuring tourists stay safe and don’t get ripped off along the way! 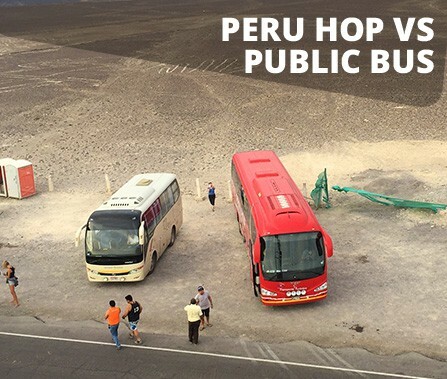 Firstly, let us explain how public buses in Peru work and then explain how Peru Hop works so you can understand a little about the difference. It’s best to always compare your different options to find the best one! Take a taxi from your hotel/hostel to bus terminal A – note that taxis in Peru do not have metres…you need to negotiate the price with the driver! Go from Destination A to B with lots of unique quick stops along the way to see the Real Peru. Have an onboard Peruvian assistant fluent in English to give you expert tips and advice on where to stay and what to do at each destination. A hop-on hop-off system can seem new, but it’s easy to understand. We’re going to explain how Peru Hop works in 5 simple steps so that you, the passenger, can perfectly understand everything! Choose from our variety of passes, depending on where you want to start, where you want to go and how much time you have. Check our passes section for more information..
Our passes are perfect for everyone, whether you want to squeeze it all into a few days or stay somewhere for a longer period of time. Get picked up from your hotel or hostel and start your trip! At every destination, we will pick you up and drop you off wherever you are staying. You decide how long to stay at each stop. Stay one night or one month, it’s up to you! Your pass will be valid for one whole year. Simply log into your HOP LOGIN account and change your itinerary on the go. Finish your trip and pick up a FREE T-shirt at our offices in either Lima or Cusco. WHY PERU HOP IS 90% CHEAPER THAN TOUR COMPANIES ? If you google “10 day tour of Peru”, you will see tours (not flexible…but with fixed itineraries) costing $1,500 – $4,500 USD. These tours often don’t even include everything… read the small print!! Peru Hop’s most popular ticket is $179 USD for a pass that is valid for one whole year. If you add to our price the extra activities in each destination, and the accommodation (check online or check our exclusive accommodation discounts), you will see that the overall price will still come out MUCH MUCH cheaper. HOW IS THIS POSSIBLE YOU MAY ASK? 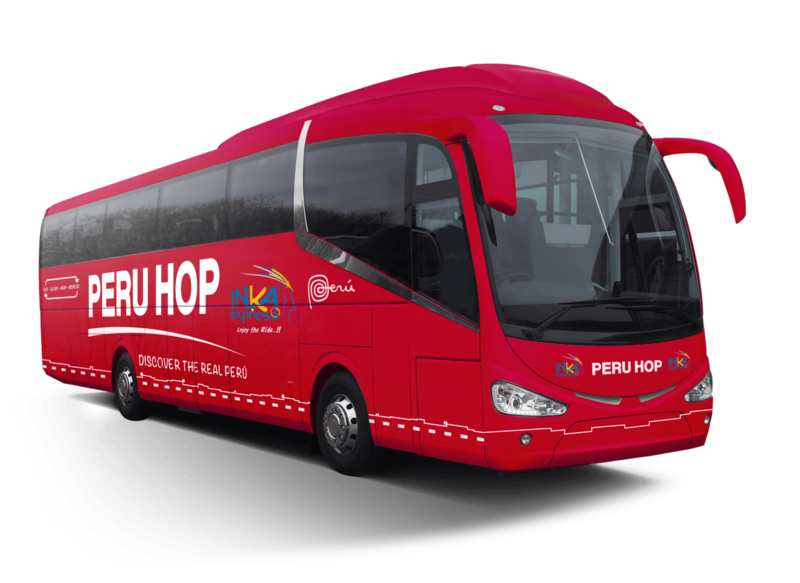 Well Peru Hop, unlike most tour companies, is LOCALLY based. We have a local Peruvian team and pay local taxes. For extra activities, we work with local tour operators and we get the best possible prices from them, and pass these directly to our customers. 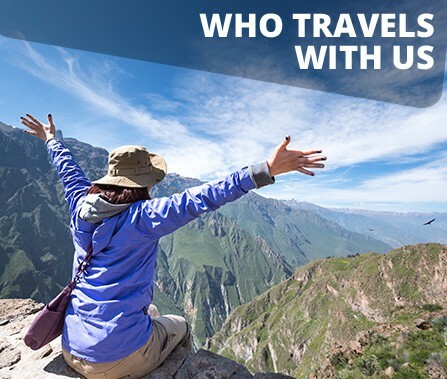 Other companies make 200% and 300% profit… they tell you a 2 day Colca Canyon Tour costs $90 USD when it really costs around $27 USD. In terms of accommodation, hotels and hostels work with travel agencies on a confidential rate basis. They tell an agency “We don’t care what price you charge the customer, you need to pay us $30 USD”. ALL agencies then mark up these prices, and charge you, the customer, $80-$100 USD… easy money for them! What we do differently is we pass on the confidential price DIRECTLY to our customer. Check our exclusive prices on accommodation… we 100% guarantee these rates CANNOT be beaten on any website (booking.com or anyone else) or with any travel agency. Well it’s quite simple. We make our money through volumes of people on our buses. The more people that come to Peru the better for this whole country, including Peru Hop. So if we can make Peru more affordable for travellers, they will then recommend this country to more people, who will bring more visitors etc etc. As a local company, we want this country to grow and tourism is a massive driver of growth for this country where over 35% of people live below the poverty line. Travel agencies and tour companies that charge $2,000 USD+ are NOT local companies. They do not employee local people. They don’t really care if the economy grows here or not. They are simply interested in making as much money as possible. 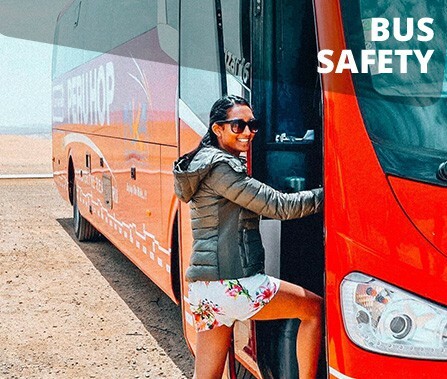 They prey on tourists lack of knowledge about Peru, and tell tourists that it is such a dangerous country, and that $2,000 USD is actually quite cheap for a tour as it is less than 1 months wages in most western countries. Tourists fall for it and end up paying way too much for a fixed tour, with no flexibility, which does not even take them to REAL local destinations. 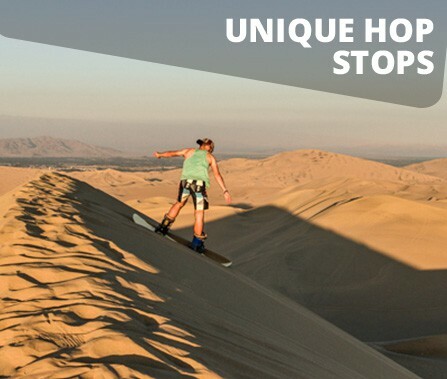 Peru Hop is a proud Peruvian company and our whole team is proud of the fact that we are different from these huge travel agencies and tour companies that rip tourists off. Keeping our prices as low as possible is something we always aim to achieve so more and more people can come visit this amazing country. We hope this helps explain why we are a lot cheaper than normal travel companies but our quality is MUCH better (according to TripAdvisor reviews online) and we hope to see you on board a Peru Hop trip in the very near future! That’s why we created Peru Hop! See the hidden gems of Peru. Meet our local Peruvian guides (now famous on tripadvisor haha!) as well as fellow passengers from across the world. Pay local prices with local Peruvian companies paying Peruvian taxes. Lose an ATM card or your passport? Need to call home for an emergency? 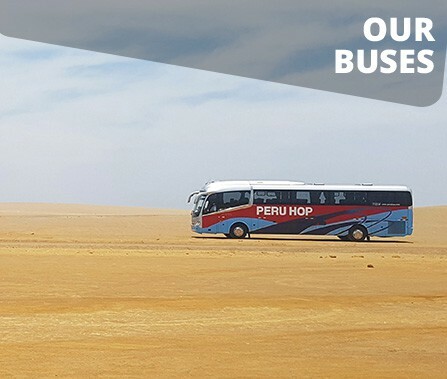 Peru Hop is always there to help, and our on-board assistants are famous for their care and attention, whilst also leaving travellers enough space and freedom to explore at their own pace.